Folic Acid, a vitamin B variant, can be extremely beneficial for women, especially those who are pregnant or are planning to conceive. This water-soluble form of vitamin B9 could safeguard the fetus from being born with grave disorders like ‘spina bifida’ or anencephaly. If young and pregnant women took this vitamin on a daily basis, nearly 70% of birth defects associated with the spine and brain would never have happened. This vitamin B type naturally occurs in legumes, nuts, and specific vegetables. However, most of those who are on their way of becoming pregnant or already are do not consume sufficient amounts of these food items routinely. Hence, their bodies do not get the daily required dosage of Folic acid. The best option of supplying the daily quota to the body is by taking pills and supplements. Folic Acid: What is it? Folate and Folic Acid are water-soluble vitamin B9 variants. They can be found in the common dietary items we tend to consume from day to day like grains, beef liver, beef kidney, eggs, meats, dairy products, seafood, nuts, fruits, green vegetables, leafy vegetables and so on. Vitamins, fortified grain products and breakfast cereals include folic acid in artificial form. Our bodies absorb and ingest the synthetic type more effectively than the natural variant. Though researchers are still in the dark as to why and how Folic acid contributes towards averting birth defects, there is enough circumstantial evidence to prove the above assertion. As a matter of fact, the vitamin can check the incidence of such defects in the early stages of pregnancy, much before they realize that they’re carrying. These defects are usually related to the unborn baby’s vertebral column and brain and are classified as ‘Neural Tube Defects’. Encephalophele, spina bifida and anencephaly are the most common NTDs. Folate also plays a key role in preventing the baby from other health defects at the time of birth like autism, cleft palate, cleft lip, and cerebral aneurism. 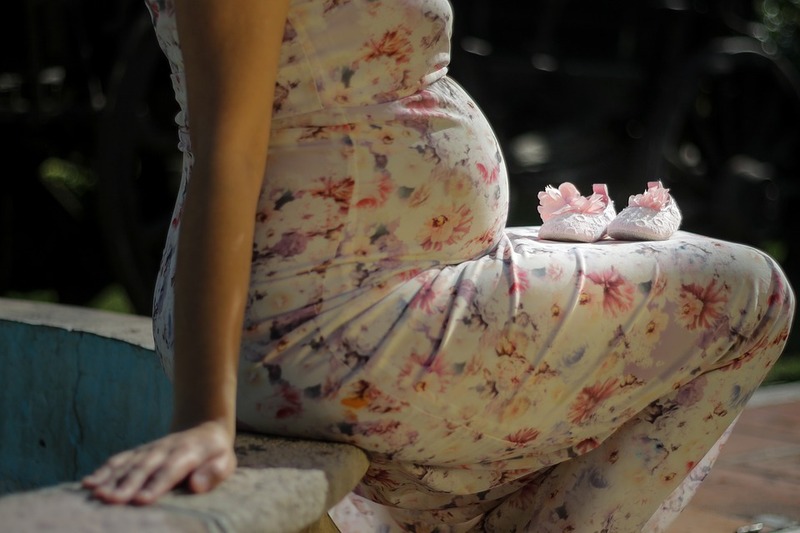 A study conducted recently by University of California, Davis led to the finding that pregnant women who regularly took natural foods containing folic acid were less vulnerable to give birth to babies diagnosed with autism spectrum disorders (ASD). These women were also at lesser risk of delivering babies with NTDs, their exposure to home pesticides or insecticides (a high risk factor for autism) notwithstanding. Furthermore, folic acid is also required for the healthy development of the fetus and placenta. This nutrient also helps in the embryo’s cell division and DNA production and its deficiency could hinder the process of development. According to Diane Ashton, MD and deputy medical director for the ‘March of Dimes’, 50% of pregnancies in the US are spontaneous. Hence, it becomes all the more essential for women in the child bearing age category to take supplements of this vitamin daily to keep themselves (and presumably their unborn babies) out of harm’s way. How much Folic Acid to take every day? As per Institute of Medicine’s, CDC’s, the March of Dimes’ recommendations, that pregnant women should take 600 micrograms of the nutrient from a multivitamin or prenatal vitamin or consume one bowl of enriched breakfast cereal containing 400mcg. These institutions also suggested that women in general should take nothing less than 400mcg of the synthetic Folate every day. There are some downsides of consuming the vitamin B9 variant on a routine basis. The Journal of Epidemiology & Community Health published a report mentioning that women taking folic acid in supplement form were at high risk of succumbing to breast cancer. Many researches and studies have pinpointed a link between supplements of Folate and ectopic pregnancy, leukemia, heart problems, and asthma. Pregnant women should decrease their consumption of the nutrient following the first trimester. From the 2nd trimester till delivery, women can source the vitamin from food items. To know more about Folic acid and its health benefits, log in at www.decuyperechiropractorclearwater.com or dial 727-449-80-80. This entry was posted in Health, Healthy living, Nutrients, Pregnancy and tagged Folate, Folic Acid, good nutrition, health, healthy living, heart problems, leukemia, pregnancies, spina bifida, vitamin B. Bookmark the permalink.